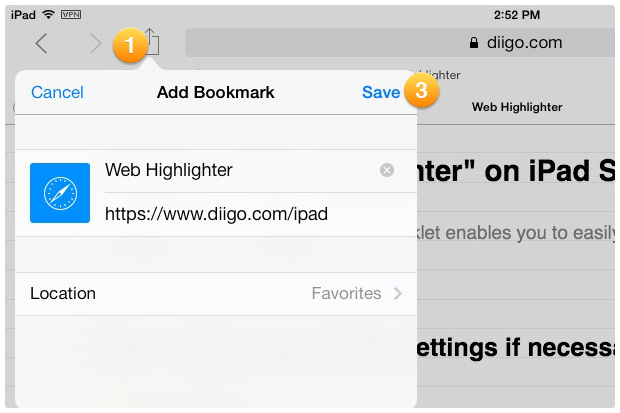 Installing the Web Highlighter bookmarklet enables you to easily highlight and bookmark webpages in iPad Safari, just like in iBooks. 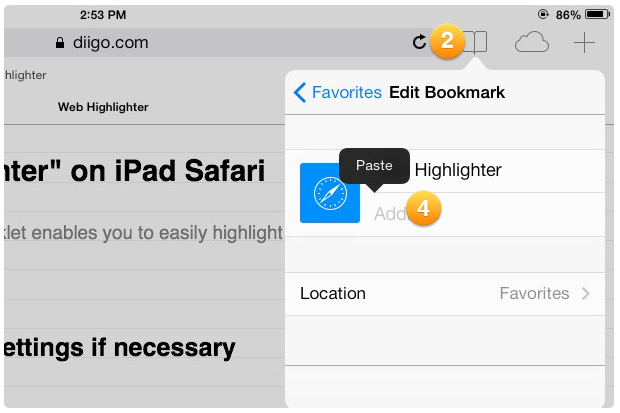 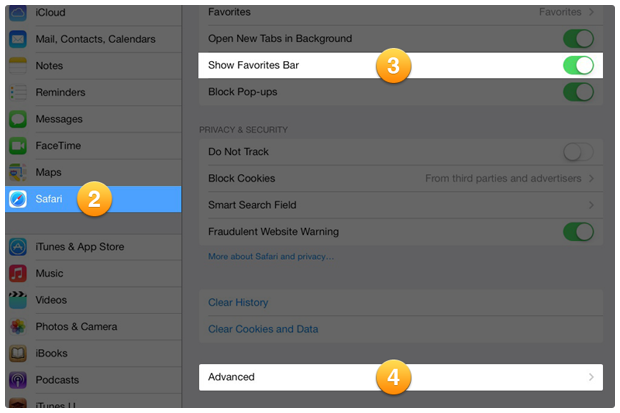 3Choose "Favorites Bar", then click "Save"
5Tap and hold URL field for the magnifying glass, then tap "Paste"
You've enabled the Web Highlighter for iPad. 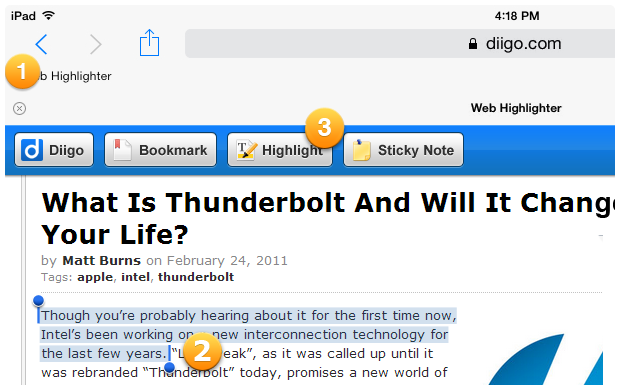 You can test it on this page now!